Morning Mist Patterns	By: Feather & Sage Design Co. 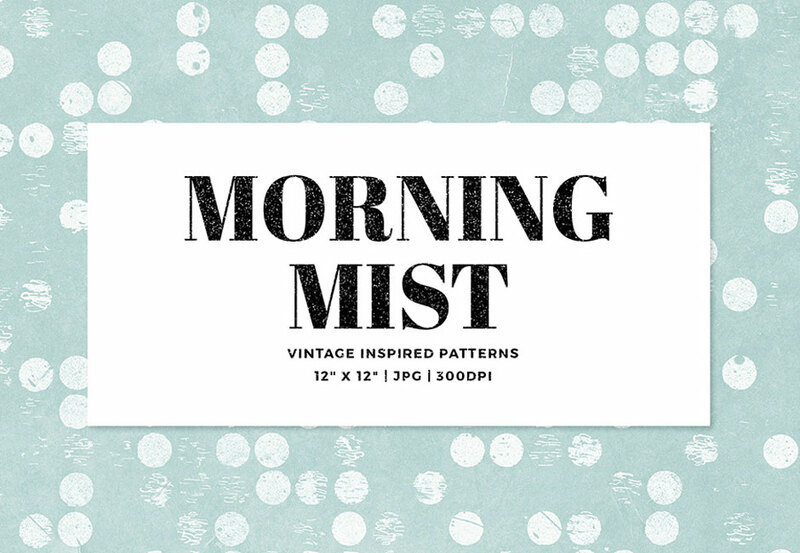 Morning mist patterns is a collection that is perfect to add that elegant and cool effect to your work. 12 .JPG images, high resolution 300ppi. File size is approx 92.6MB (94.2MB unzipped), offered as a single download. They are gorgeous! Thank you and a happy weekend! I had never noticed it before. Thanks so much for the quick response and all the amazing products your team and designers create! You are so welcome as always Maria!